Open roads, a warm breeze through the windows, and my truck packed with friends and plenty of gear — this is how most of my favorite adventures begin. Our trip to Joshua Tree was no different. We’d been dreaming of hitting up this magical desert spot for quite some time and as soon as the wildflowers started firing we knew it was time to make it happen. 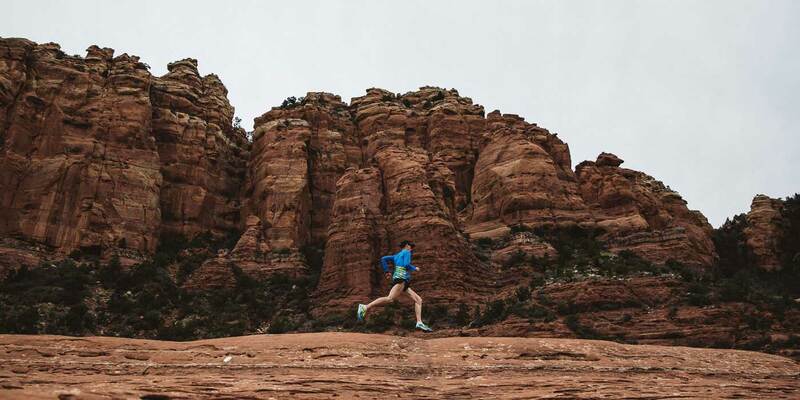 The plan was to climb and boulder our way through the desert, but the results of the trip were measured in much more than toughest routes bagged or time spent on the rock. The memories and bonds we made — both on and off the rock — proved to be the most valuable part of the adventure. We settled into our campsite at Jumbo Rocks Campground and made quick work of organizing our gear, unpacking and repacking the cars, and digging into our maps and guide books. One of my favorite things about climbing is coming up with the plan. 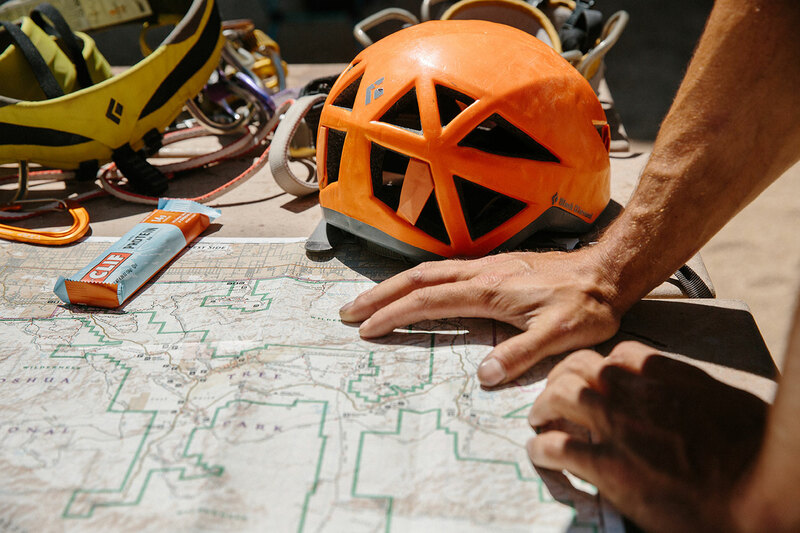 Dog-earing page after page in the guidebook, cross-referencing with the map, and taking in beta from climbing friends — it’s all an adventure in itself. 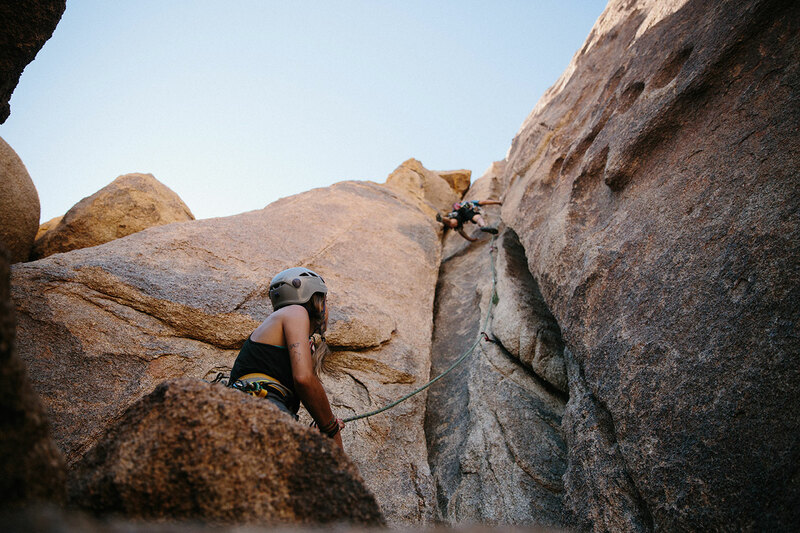 Even though you’re all alone on the rock when you’re in the middle of a pitch, climbing is actually a true team sport. The trust and communication required of climbing partners to safely and successfully send any route creates a bond that can last a lifetime. And when you’re in a tough spot, there’s nothing like a shout of encouragement from friends below to push you to make that next move. Once you’re back on solid ground, exhausted and giddy with adrenaline, the joy of lounging around the crag with your friends is yet another reminder that who you’re with is what makes the adventure special. Sunsets are never sweeter than after a long day running around outside. 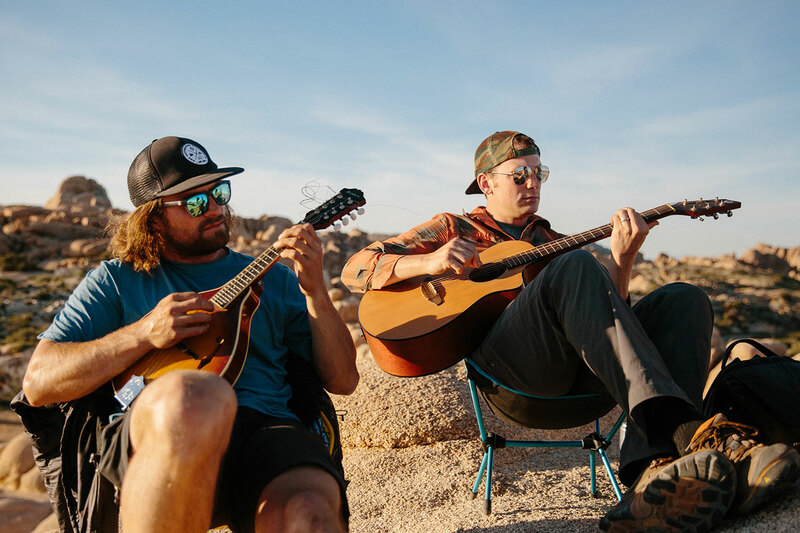 We scrambled up the giant boulders that surrounded our campsite and settled in for a sunset session of playing music, one more very precarious round of hacky sack, and a pretty sorry attempt at flying a kite. With virtually no wind and no place to run, this boulder was perhaps the worst venue imaginable for kite flying. But when you’re with good friends, a flightless kite flopping around is just one more thing to laugh about. After the sun went down, we made our way down the rocks for dinner and downtime around the campfire. We swapped stories, told jokes, and taught each other magic tricks with a deck of national park playing cards before climbing into our tents, exhausted and content. As with every adventure, this trip had to come to an end. 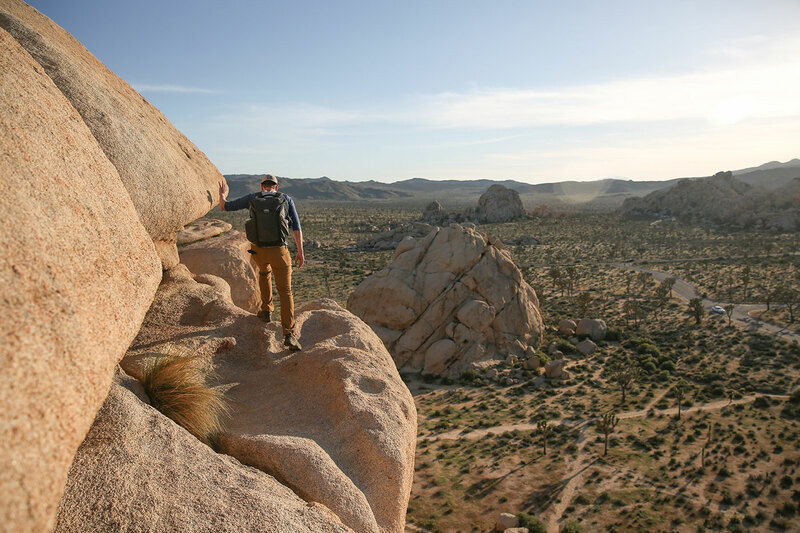 Joshua Tree is one of those places that, even before you’ve left, you know you’ll be dreaming of when you’ll return. That sentiment carried over to our crew of friends, too. We may live in different places, but the memories we made on this trip will surely tug at us for days to come and inevitably bring us back together for another round of hacky sack on an empty dirt road somewhere far from home. We can’t wait.